Summary: There are several models in UHD/DVD player which can play DVD and 4K Ultra HD Blu-ray discs with amazing ease and pace. Let’s go to check them. For those looking for the next level of clarity and resolution from HD will love the experience that UHD players provide. There are several models in UHD/DVD player which can play DVD and 4K Ultra HD Blu-ray discs with amazing ease and pace. We first look at the features that should be considered when choosing such a player. · This comprises of valuing analog audio outputs of such a player and understanding the kind of receivers you use and compatibility of the same with respect to the analog outputs found on the player. · BD-Live is a Blu-ray feature that enables downloading of additional content from online sources before you watch a movie. · HDMI audio output is another helpful feature that provides flexibility since the player can be connected to a video projector as well to the A/V receiver that a user possesses. · Image file support is also an additional feature that many players provide that helps to stream digital photographs from network storage or USB drive. · Video streaming services are often paired with many players. If you have a player that offers Netflix as a service that helps to rule out the need for Amazon Fire TV, Roku and other dedicated boxes. However the essential features still remain in the category of audio and video quality, ease of setting up the player with your TV and the budget you are constrained by. The top three models in this segment are discussed below; while Xbox surely offers unparalleled UHD experience, both for gaming as well as for watching movies, Oppo surprisingly has great audio quality to offer those who wish to have a home theatre like experience at no additional setup cost. Last we look at Samsung whose UBD-K8500 model promises all that you can expect from a UHD/DVD player sans the high cost. Those who are fans of gaming consoles will find their needs for DVD and 4k UHDBlu-ray player met with this particular gaming console. Not only can it satisfy the requirement of excellent Blu ray gaming video output for gamers, they can also enjoy other kinds of audio visual content of similar levels of this hardware. It can stream bit streams of high resolution such as Dolby Atmos which delivers to A/V receivers at optimal levels. It can even play 4K UHD Blu-ray discs as required and video quality is never compromised. This is a model that is also worth considering among the Ultra HD Blu-ray players in the market. Those who are audio philes or aficionados of home theatre systems will love this model. Being of a hardware configuration that can run 4K discs as well, this particular disc player ranks high especially in terms of audio quality. Those who wish to have analog output of high quality will especially like this player. The components in this system are high performance, such as 32-bit ESS Sabre Pro or ES9038PRO DAC. XLR stereo analog outputs are balanced and outputs ensure a surround sound effect. The video quality is ensured by Dolby Vision and HDR-10 features. HDMI input also helps to plug in other sources such as media streaming box. Samsung hardware is known to live up to expectations and so does this one among UHD/DVD player reviews. If you have a modest budget and want UHD hardware that flaunts the best in this technology, this particular Samsung player will meet your expectations. Samsung UBD-K8500 might take some effort to get it working right with other TV models besides Samsung but the picture quality will not disappoint and neither will the audio quality. Most audio bit streams are supported by the player and UHD Blu-ray discs play as per expectation on this player. If you have an Xbox, the delivery of this hardware might not be matched and even the Oppo UDP 205 would offer better audio than this Samsung model. However, for a modest budget this is a good UHD player to opt for which is cheaper than Oppo as well as Xbox. Those who wish to opt for a home theatre like experience and do not want to cringe on their budget will want to invest in UDP-205. If you would also have a player that helps to copy and convert 4K UHD Blu-ray discs you can take a look at DVDFab UHD Copy. This is a great choice, especially when it comes to cloning 4K Ultra HD Blu-ray discs. 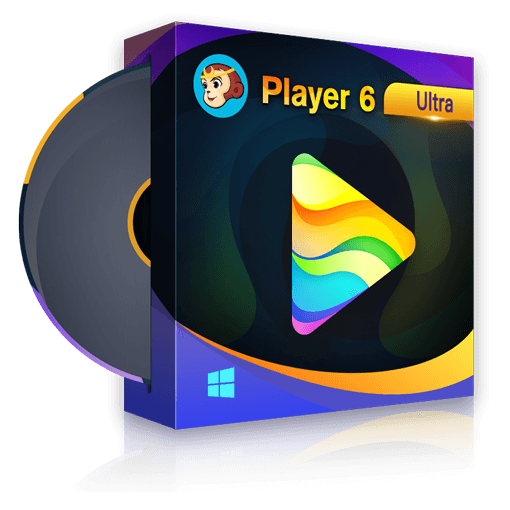 When these are unprotected, this copy player can help to copy the entire discs and convert movie titles to ISO. These can be saved in top quality resolution such as 2160p. This particular copy hardware helps to burn as well as compress UHD source files to BD-50/25 discs which can be a great addition to your UHD player hardware assembly. What’s The Best UHD to Blu-ray Converter? This article lists the top 5 best UHD movies 2018 and also introduce you the powerful solutions to 4K UHD Blu-rays. What is a Home Media Server? What is a home media server? Here this article will show you what a home media server is, how to build your own home media server, some best home media server software and also recommend you a great media server hardware product.